Atos is an international information technology services company with annual revenues of EUR 8.7 billion and 78,500 employees in 42 countries. Atos Worldgrid is an Atos business unit delivering sophisticated integration projects and real time Smart Energy solutions to Energy & Utilities companies across the power, water, oil & gas value chains. With 1,500 engineers and over 30 years experience, Atos Worldgrid operates in more than 15 countries. It has in particular equipped 70 nuclear power plants with its Supervision and Command & Control software and delivered the world’s largest smart metering system to the French utility eRDF (the Linky project). Atos Worldgrid will be the major contributor to the WP6 (demo Grenoble), acting as a supplier for the IT software, and integrator of the global solution for the smart-grid. From its positioning and experiences, Atos Worldgrid is keen to contribute to the WP 3 (technology and roadmapping), bringing an industrial view in this area. 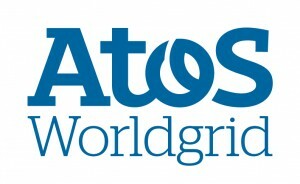 Atos Worldgrid is also involved in the monitoring of the technical and process developments.